My sled rocks gently back and forth as it quietly glides through the frozen landscape. All I can hear are sixteen dog paws running lightly on the snow. Our surroundings are like taken out of a painting. The sun barely peaks above the horizon, painting the sky yellow and bathing the steep mountains peaks surrounding us in pink tones. 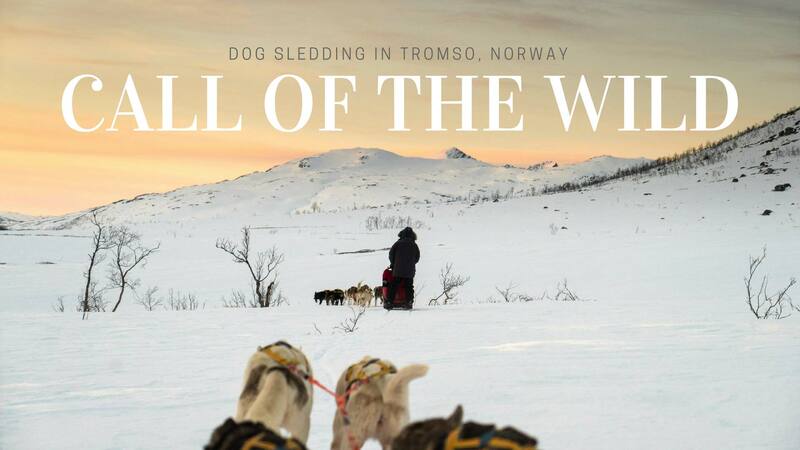 We are out dog sledding in Tromso, my hometown located above the Arctic Circle in Northern Norway. It is just a short drive from the city, but right now civilization seems very far away. For a few precious hours, I get to answer the call of the wild. Dog sledding in Tromso is the perfect way to experience the Arctic wilderness! 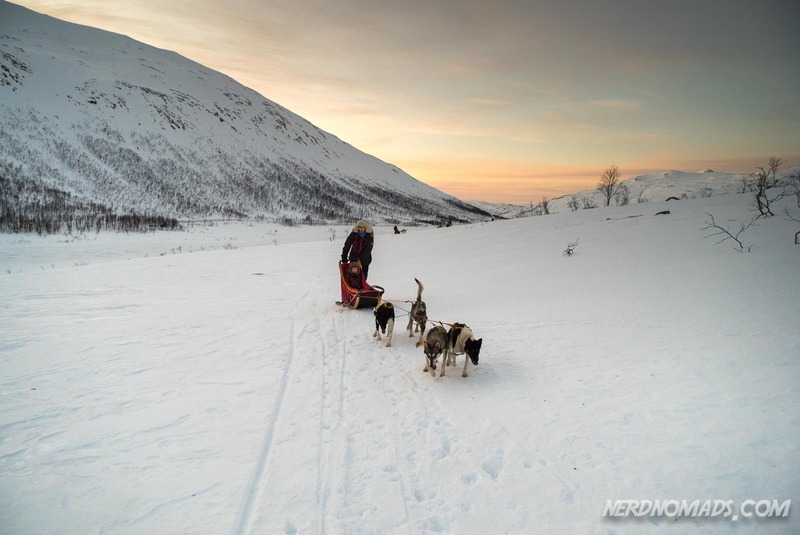 Being from Tromso and having owned Siberian Huskies all my life, dog sledding has been on my bucket list for years. This year for my birthday it was finally time to cross it off my list, and I contacted our dear family friend, Tore, who owns Active Tromsø. 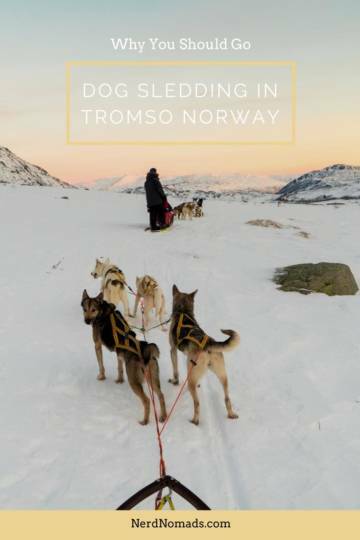 If you too want to experience a dog sledding adventure in the arctic nature of Tromso, the best and easiest way to get to Tromso is by plane. 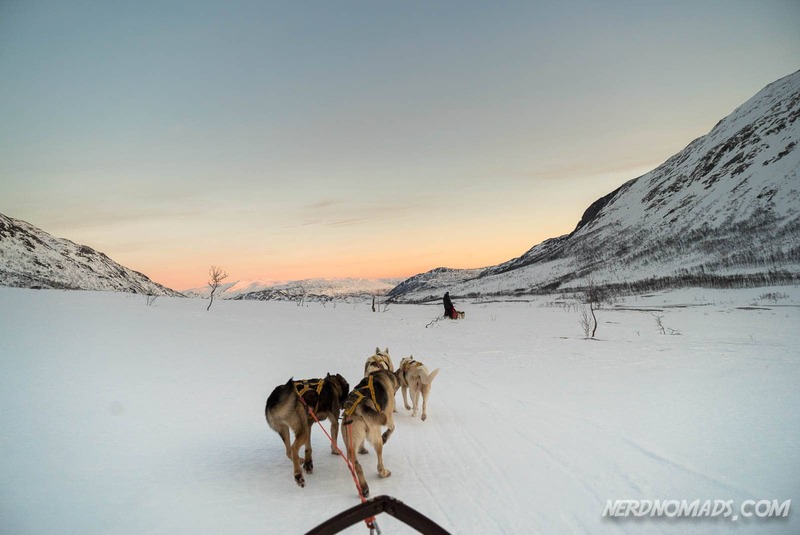 There are direct flights from Oslo, Helsinki, Stockholm, London, and Frankfurt, as well as several cities within Norway. Tore, who owns Active Tromso, has been in and out of our house since he was about 11 years old and he is like a big brother to me. 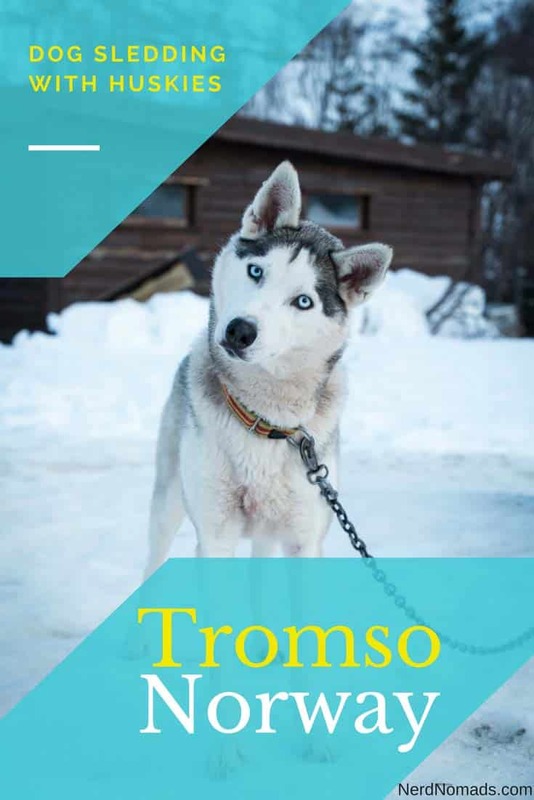 Tore got an interest in dog sledding and adventure from a very early age, and since my family was one of very few that had husky dogs in Tromso at the time, he often came around to our place to borrow our two Siberian Husky dogs Togo and Sajak. 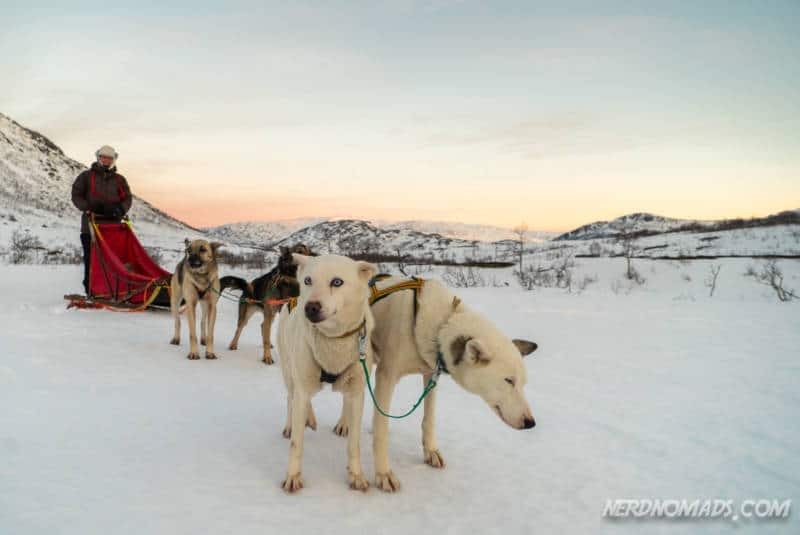 Tore is a true man of nature and has been on many dog race adventures over the years – the worlds longest dog race Iditarod in Alaska both with dogs but also on skis with only one dog, Finnmarksløpet, Europe’s longest dog race, thirteen times, and Yukon Quest. 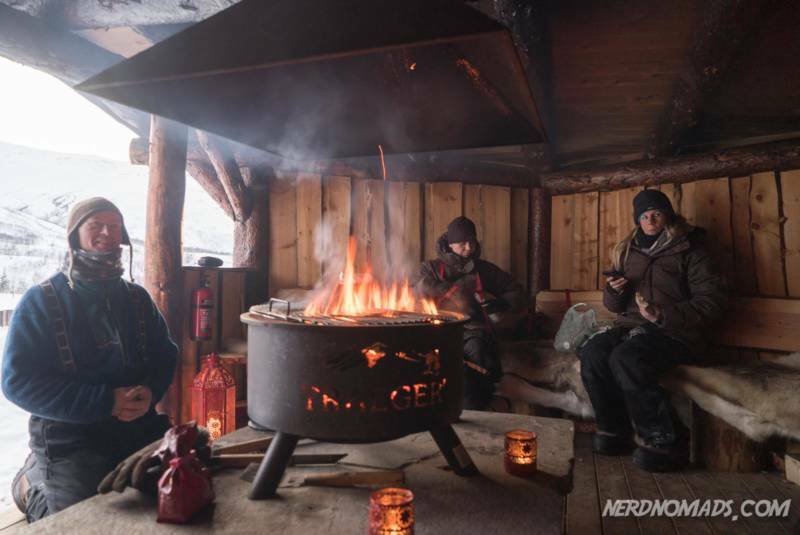 He has done several Marathons, crossed Greenland, Svalbard, and Alaska on skis, as well as climbing some of the highest mountains in the world. It was indeed a privilege going on a dog sledding trip with Tore as our guide! He is the perfect guide. 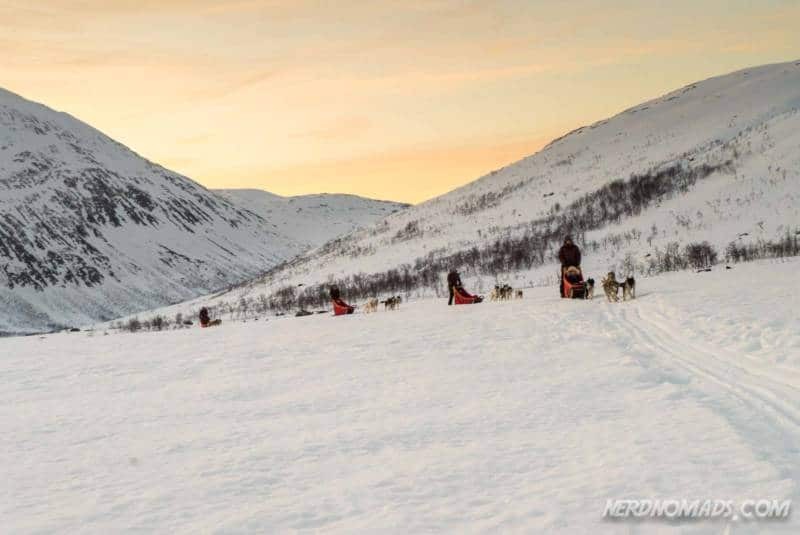 Active Tromsø run two dog sledding trips each day, one during the day (08:45 – 16:00) and one in the evening (16:45 – 23:00) where you will be able to see the Northern Lights if the sky is clear. 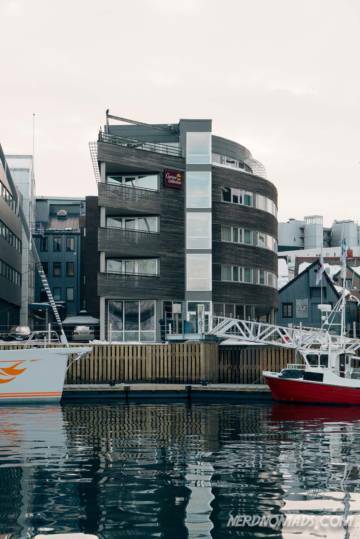 Active Tromsø is located just a 35-minute drive from downtown Tromsø, on the large island Kvaløya (Whale Island). 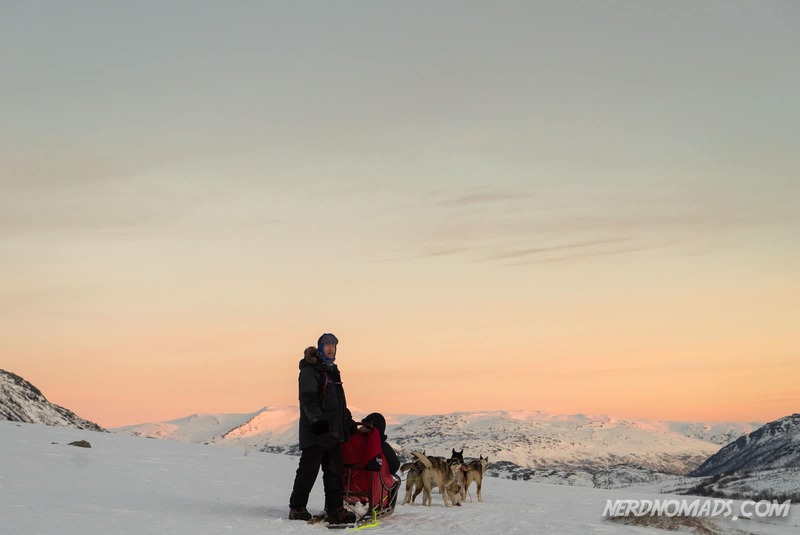 Tore took us on a dog sledding trip on Kattfjordeidet, one of my favorite places on Kvaløya where you find some of Tromsøs most majestic mountains which are very popular for skiing and snowboarding. 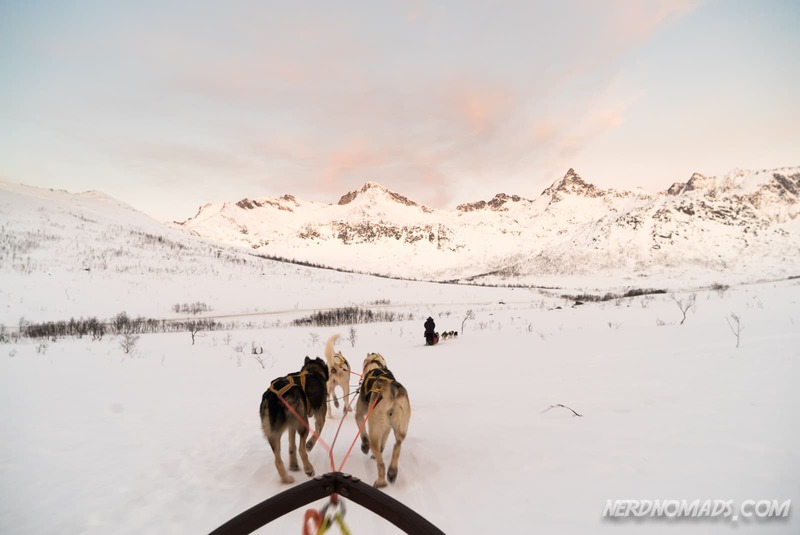 The Kattfjordeidet area is also called “the Arctic Chamonix,” due to the wild and steeps peaks. 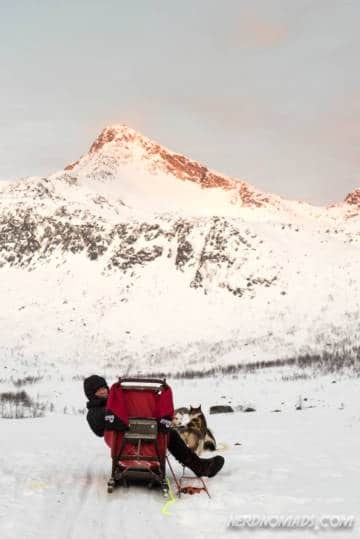 I have been mountain hiking and telemark skiing in this area ever since I was a little girl, but going dog sledding here was an entirely new and unique experience for me. 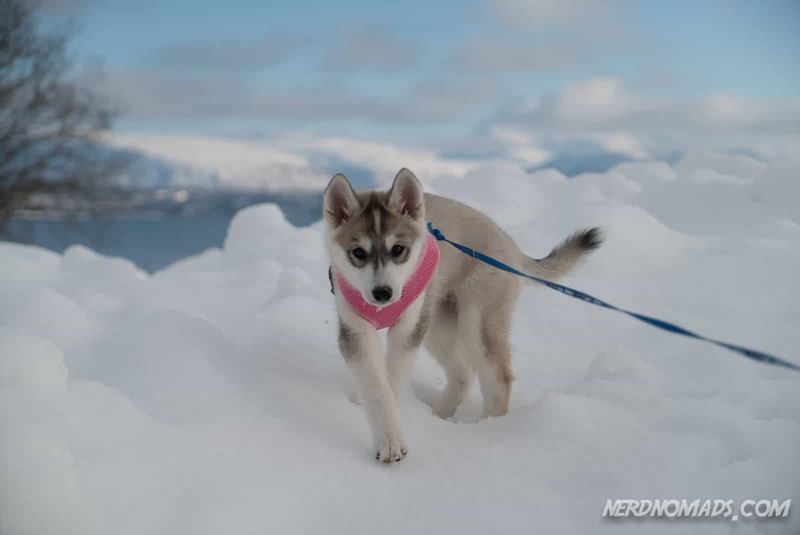 You don’t have to worry about being cold. 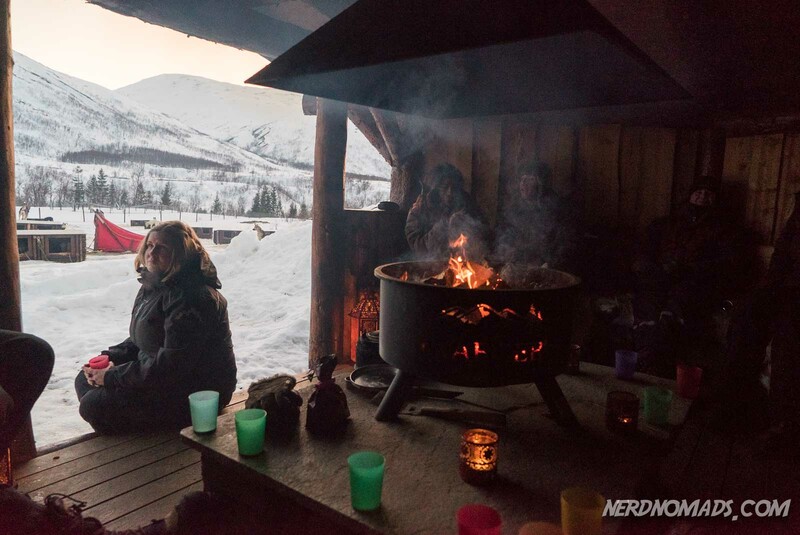 When we arrived at the Active Tromsø camp, we were given warm and comfortable jackets, trousers, shoes and mittens with a long strap to put around the neck so that they won’t fall off (yeah, I felt like I was three years old again 🙂 ). You must bring a hat and a scarf yourself, and have wool underwear and long johns as well as a warm sweater of wool or fleece. 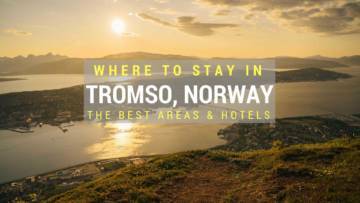 Here is a complete list of what to pack for a trip to Tromso. 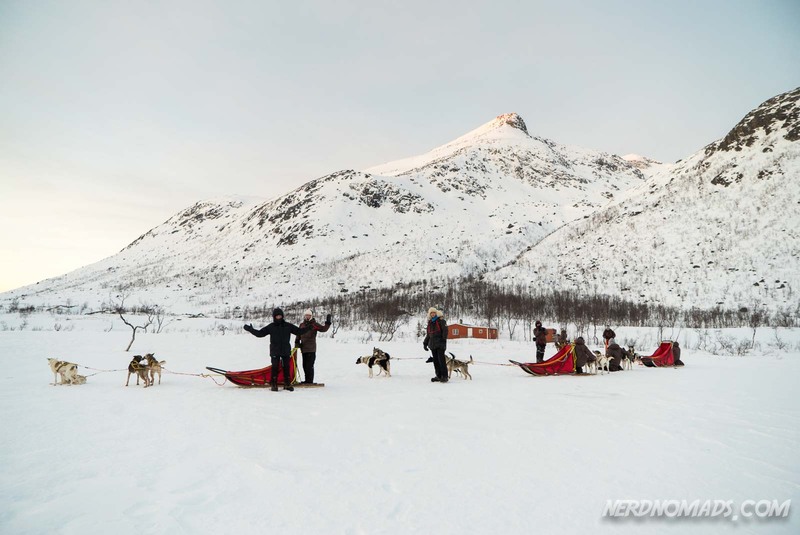 Before heading out into the wild, we helped out with the dogs, putting on their harness and attaching them in front of the sled. 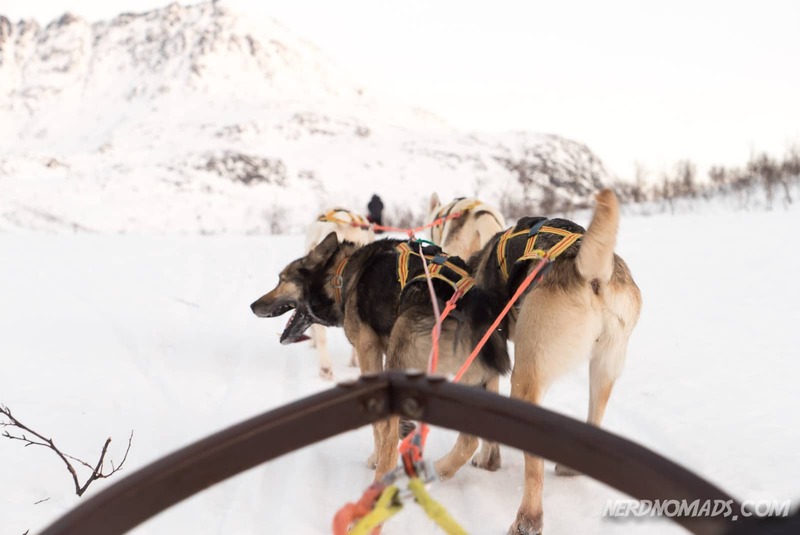 We were paired up on each sled, one standing behind it doing the steering, breaking and giving commands to the dogs, and the other sitting in the sled. 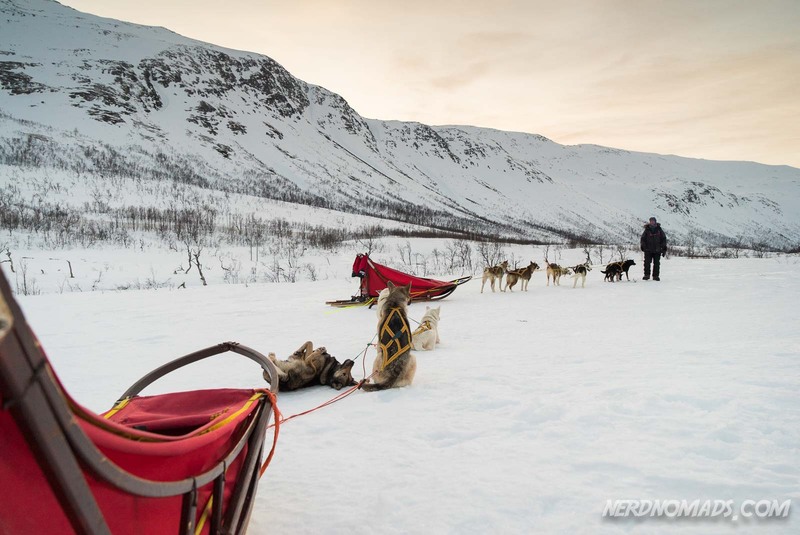 The sleds have reindeer skins making it super comfortable and warm being a passenger. 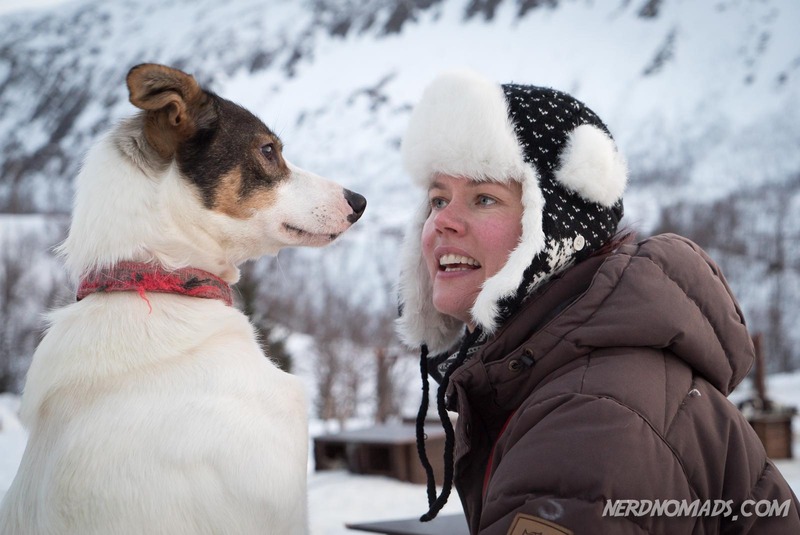 After an introduction from Tore explaining the dos and don`ts of dog mushing, we were of! 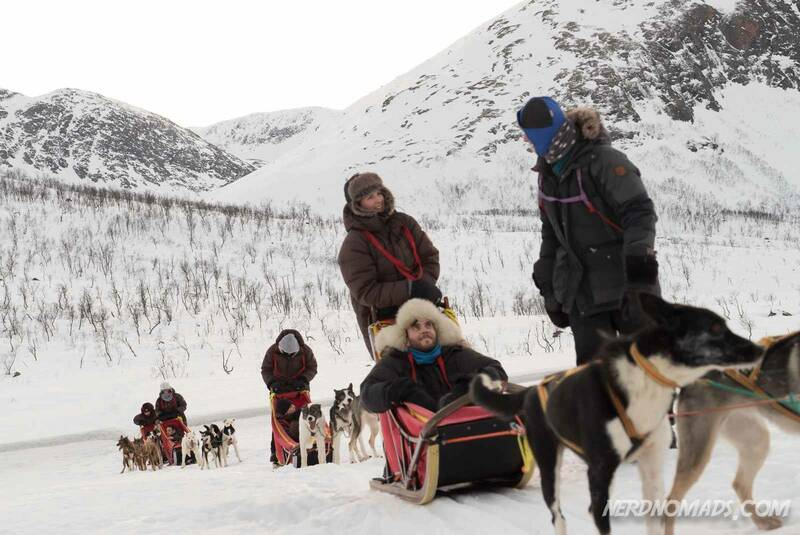 Altogether we were six dog teams and twelve people, including Tore’s dog team that was in front with my dad sitting on the sled. We all followed behind Tore’s dog team in his tracks, and the dogs never went out of the path, they always knew what to do and who to follow. Since it had been raining followed by cold weather and cold temperatures for weeks, the snow was hard and icy on the day that we went dog sledding. For added security, for both the dogs and us, the sleds were only pulled by four dogs, instead of the usual six. 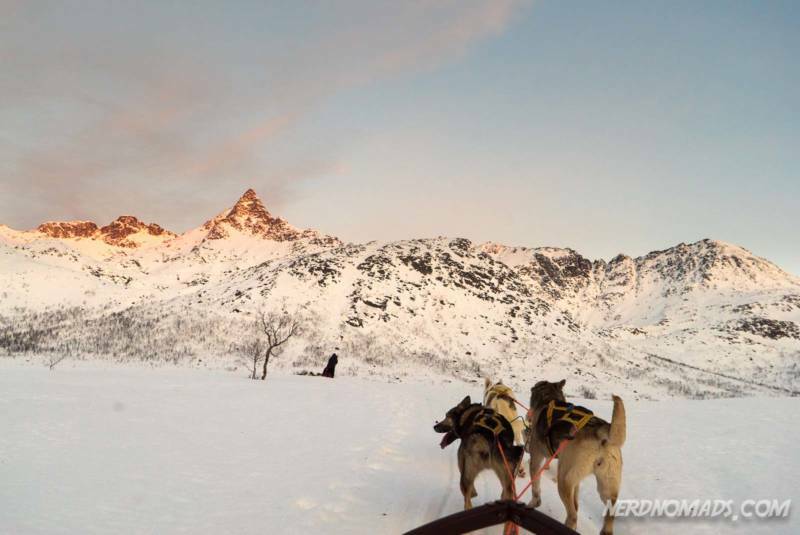 We were out dog sledding for about 3 hours in beautiful surroundings of steep snow covered mountains. 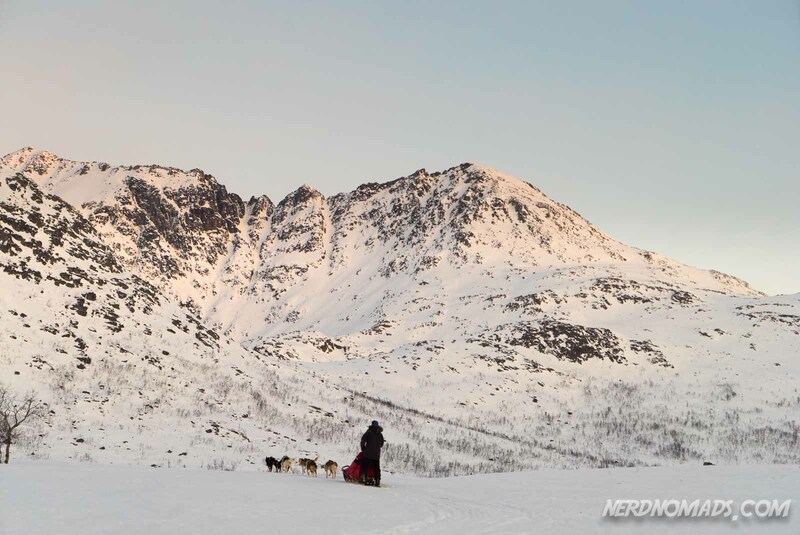 When we turned around at the end of Kattfjordeidet to go back to the camp, we all stopped for a short break before jumping on the sleds again. It is relatively easy to stop the dogs, the sled has two breaks in the back that the musher can use, and one snow anchor that the passenger sitting in the sled can throw out making the sled stop. One also uses the anchor when parking the dog team. And then it was time to hit the road (eh…track) again and head back to camp…..
After the trip, when arriving back at the Active Tromsø camp, we participated with unharnessing the dogs and putting them back in their houses. Did you know that each of the 79 dogs has its own little dog house? 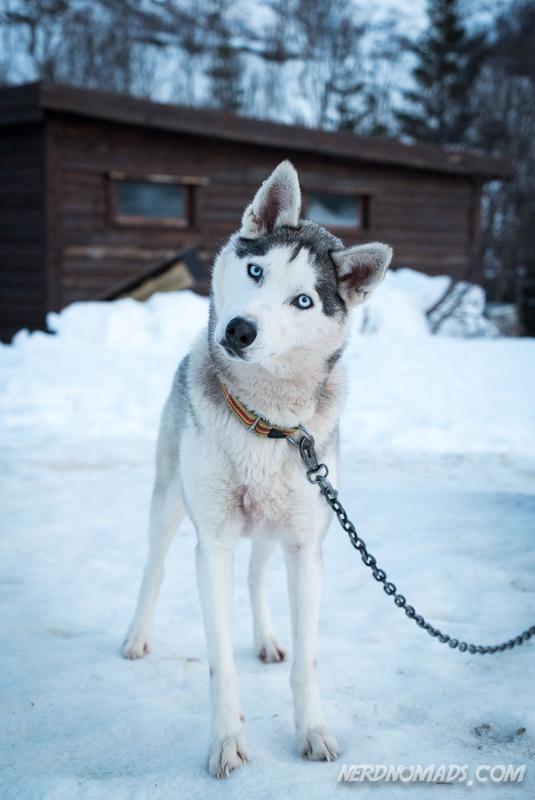 And they are very aware of where they live as each dog ran straight over to its home when let loose! So cute! 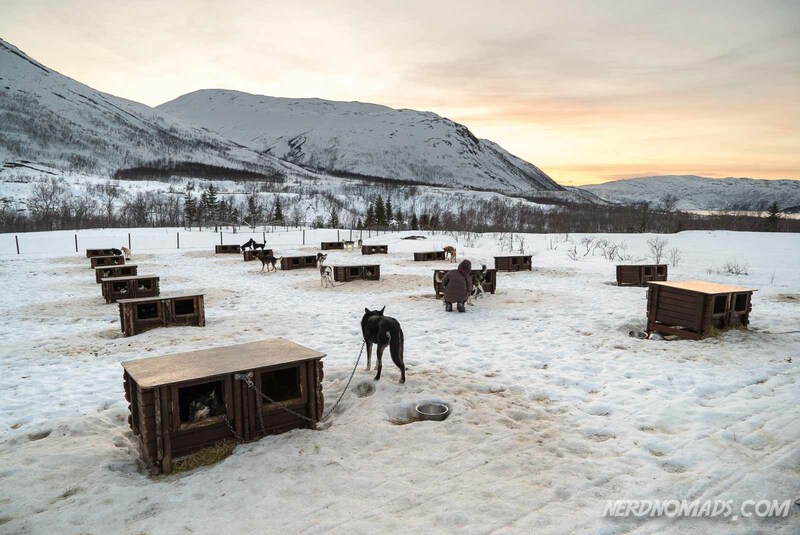 Then the dogs were given well-deserved food by Sandra, Tores girlfriend, containing water, dry dog food, some meat, and fat. Mmmmm, yummy! 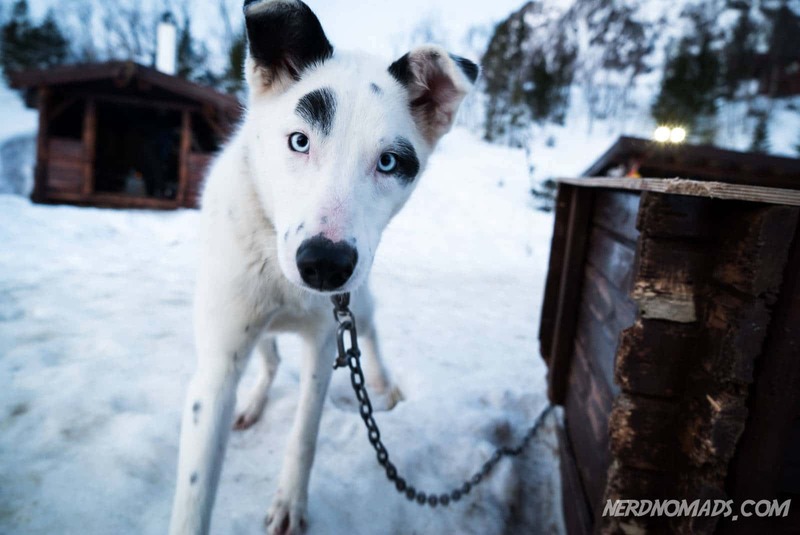 It looked like quite a job feeding 79 dogs, and they are fed twice a day too! The dogs were so happy with the food that they all started howling like a wolf, hehe. It was super cute. Apparently, they do this every time after a meal. 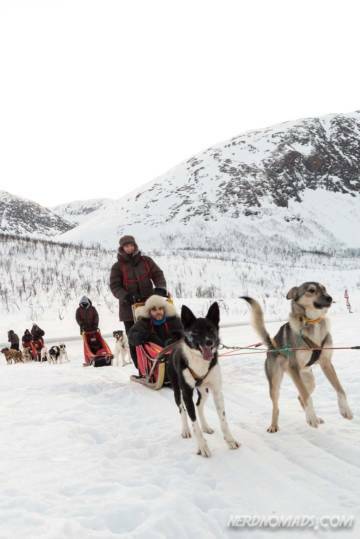 But Tore is the alfa leader of the pack, so after some minutes of howling, he said stop and all the dogs went into their houses. Impressive! 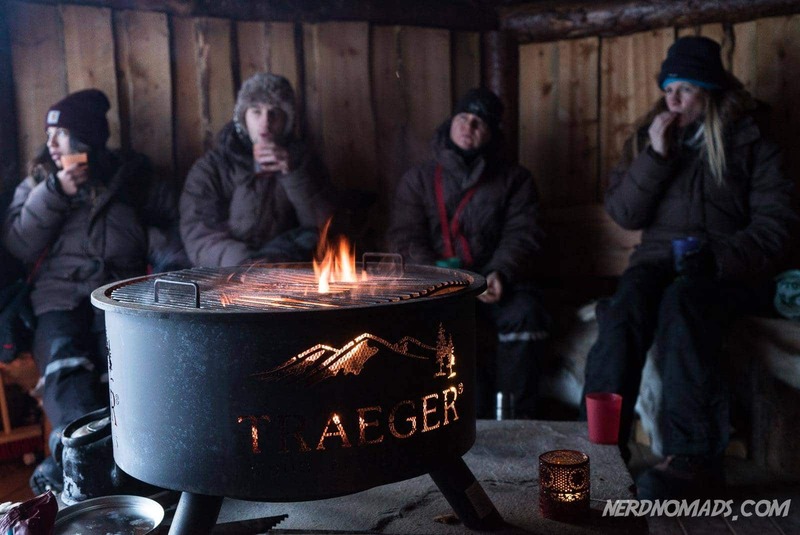 Before heading home, we all sat down inside the wooden gapahuk (lean-to) where Tore had made a fire. 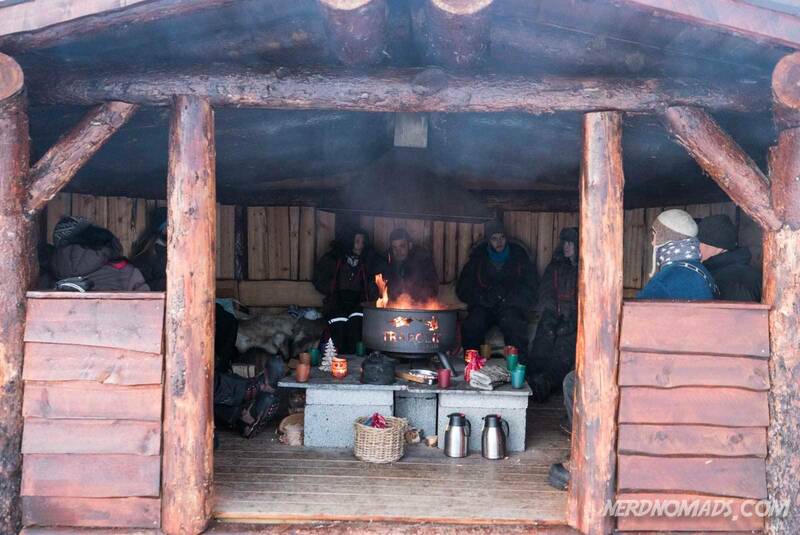 We had some tea, coffee, and biscuits and Tore told us some stories from his many adventures. 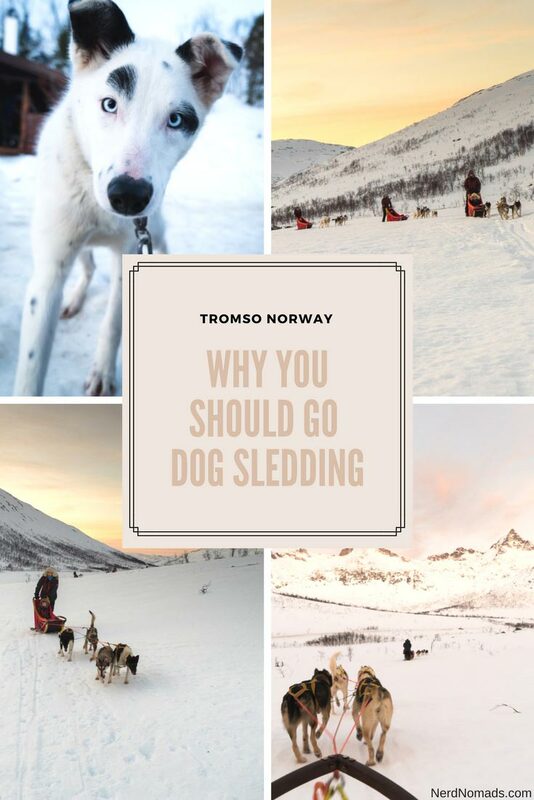 Be aware that dog sledding in Tromso is not for everyone. 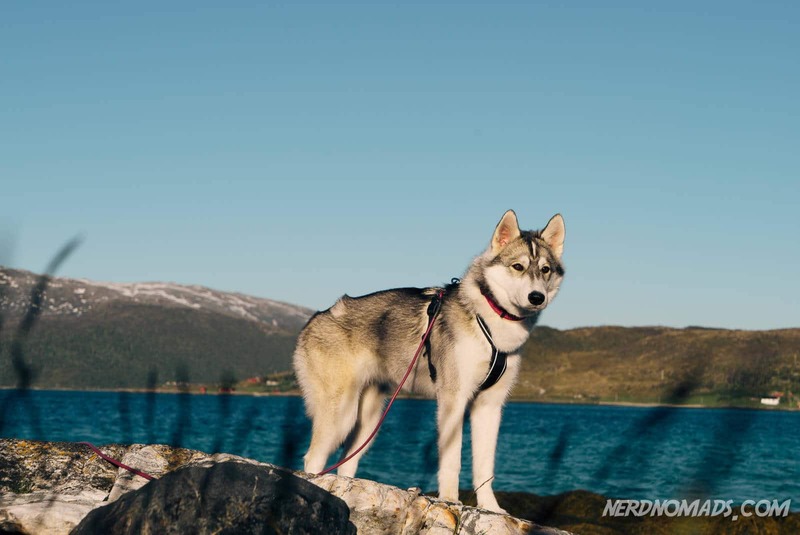 Since you will be handling your own dog team it is a bit physically challenging. 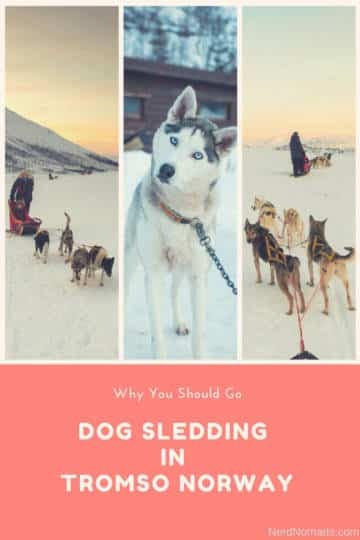 Dog sledding is for active people in good shape. You should not book this trip if you suffer from back pain, epilepsy or heart problems or in the later stages of pregnancy. 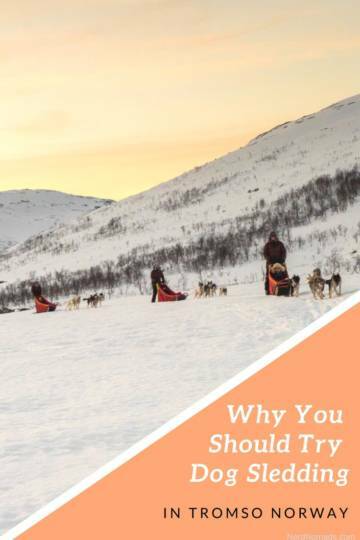 But if you are up for it, you will have a fantastic time. The time of your life! 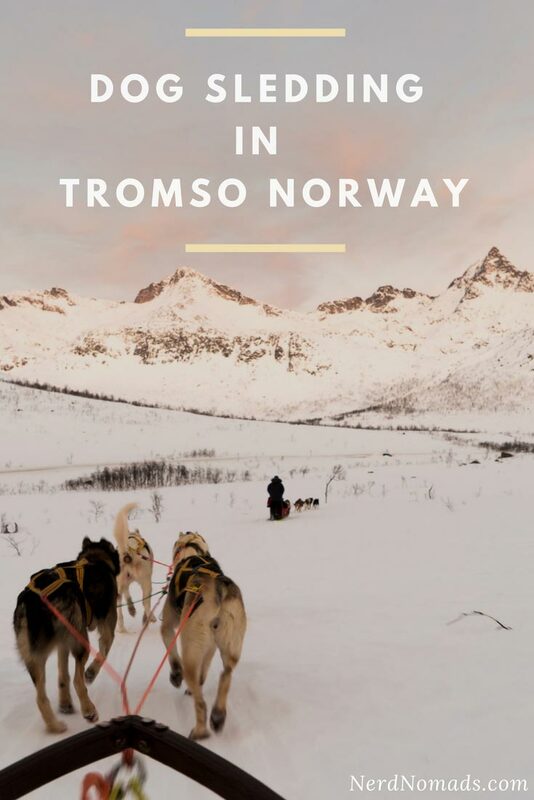 If you are interested in finding out more about what to do in Tromso, click here to read our complete guide to What To Do In Tromso! 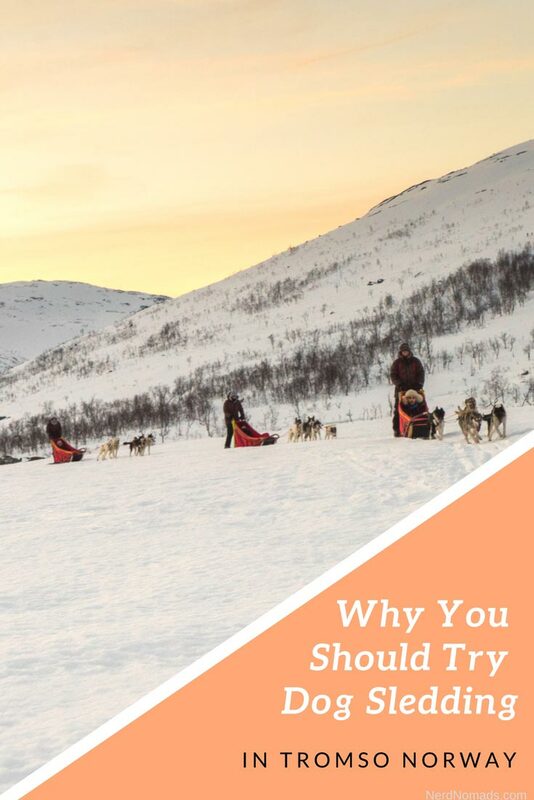 It is hard to resist the beauty of Norway.I visited Norway a few months back, It was my first trip to Norway.It was quite interesting, I really enjoyed my trip.But I was a bit unlucky I missed the dog sledding but I enjoyed reading about it in this blog. 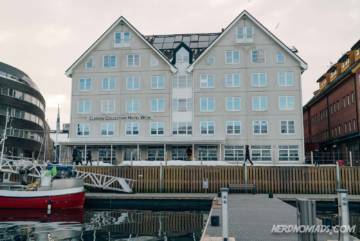 Take a plane from Oslo to Tromso (a 2 hour plane ride). There are 15 plane departures each day. This includes pick up in downtown Tromsø, transport to the Active Tromsø camp (35 min drive), warm clothes, dog sledding trip of 3 hours, tea/coffee and biscuits, and as much dog cuddling as you want.